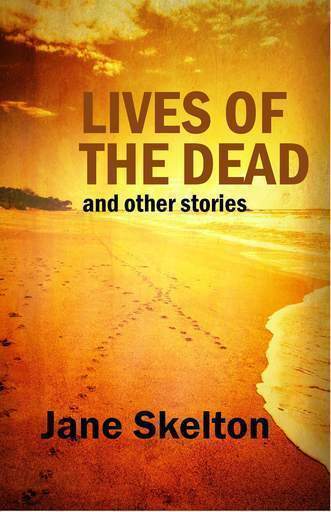 Although Lives of the Dead and other stories is a collection filled with memorable characters whose struggles are credible and utterly recognisable, it is the vivid and evocative imagery throughout, and the deceptively quiet and introspective mood of the collection that are Jane Skelton’s real achievements, and the reason for returning to savour these stories again in the future. Heather Lunney, NSW Writers' Centre. 'Looking After Cecily', a story from the collection, deals with mental health issues. We’ve been on the road for days and now I’m back, under the massive Moreton Bay figs, the white sky rushing behind sheltering leaves. I’m digging at the soles of my shoes with a stick, picking out smashed fruit and leaf-litter, just like the old days. It’s a kind of Eden. I remember when I first came out here–Adam, the first boy. It’s different now, more like a park than a bin, with people throwing sticks for dogs and picnickers settling down within sight of the wards. I can smell the nearby river, where rowers skim in uniform strokes. The grounds are unkempt. Everything’s taller and more over-grown. They must’ve finally got rid of him, old Gurgller. The wards have shrunk to a few buildings, and the mad sit outside in faded pyjamas, playing chess at plastic tables. A woman in a nightie strikes off into the plantains, now and then letting out a peacock screech. The creek is still here, though its drier now, only a trickle, and tadpoles wriggle in the ponds where huge goldfish once poked their snouts at the surface and gobbled at a shower of crumbs. Elephant ears stampede along the creek’s edge, amongst a riot of ornamental ginger and out-of-control day lilies. Gurgller–if you are dead—your ghost must be snapping ineffectual pruning shears. My favourite park-bench is still here—scabby and rotting under the stand of bamboo—and I sit and rest, my long legs splayed, the bamboo knocking like Japanese music. I unwrap the chocolate bar that is almost welded to my shirt pocket, and bite into it. I’m hungry, tired and in need of peace, after being in the car with that lot. Three days straight, driving. The car—the Falcon—is up on the street, illegally parked, hot and ticking, headlights plastered with smashed grasshoppers. Long brown feathers stick out of the radiator vents, from when Cecily couldn’t stop in time for the coucal that dashed across the road in front of her. Coucals are silly birds. They wait at the roadside and run out when they see you coming. Still, I don’t like to see them hit–it could bring bad luck. When Cecily hit the bird we all shrieked at her. She slammed on the brakes, got out and went round and stared at the front of the car. She told us it was nothing, but we knew. Cecily ought to know—she should not, must not, lie to us. There were always too many lies. When I first came out it was here, the day after they left–those people who were the parents. Boys are tough and independent, and don’t cry. Boys get on with things, so when Cecily found out they weren’t coming back, I took over for a while. Oh yes, there were parents, brothers and sisters. A whole family. Father could not put up with a child with problems. Mother wept and protested, but she was under his thumb. In those days, things like that could happen to children. You could get dumped in a looney-bin just because they thought you had epilepsy. They wouldn’t do that to a child these days–or would they? Cecily thought our parents went to the United States. That’s why they didn’t visit. They had to leave, she said, the police were after them, because my father had stolen some money from the bank where he worked, and if he were caught the whole family would be broken up. That’s what Cecily told people. Boys are useful when there are things to do, like carry the wood, or wash the car, or fix things. I’m itching right now to go up to the car and open the hood and check everything, scrape the insects off the windscreen, even though I’m exhausted. Cecily wondered how things like that got done. The doctors told her, but she never truly believed until the day before we left, when Dr Steve showed her the video. The video of Cecily changing. Taken a year ago at his clinic. Dr Steve had decided that Cecily was ready. She watched and saw all of us. She saw me, Adam, the first boy. She saw little Sarah, and baby Amber, who holds all the memories. She saw Cristobel, who she didn’t like. She saw Mikey, who had come out when Gurgller did things to Cecily in the garden shed. She even saw The Interrogator, and Old Needlehead. She moved up close to the big tv and saw her expressions change. How even her features seemed to alter with each new part. How when the little ones came out, her skin softened, her eyes widened, her brow uncreased. She watched as little Sarah took out the teeth and threw off the shoes, as she always does. Cecily stared. She grew pale and trembly. Doctor Steve, young and kind, knelt down beside her. He took her hand. Now Cecily, he said, you can see why your teeth disappear from out of your head and why you can never find your shoes anywhere. It explains the lost time, the voices. It doesn’t mean you are mad, he said. Cecily looked up at Dr Steve. He was her favourite. She trusted him. I also like Dr Steve, he has such kind, brown eyes. I don’t like to listen when some of the others say that Dr Steve is only looking out for his own career. Dr Steve squeezed Cecily’s hand. Think of yourself as a main character in a story. When you were young, when something bad happened, you made up new characters to help out. Those characters are still with you. But it’s your story, Cecily. So many, so many, Cecily moaned. That’s all she would say, all the way home. We weren’t sure what she meant. So many parts, or so many bad things? And as she drove home Old Needlehead whispered in her ear, Dr Steve said it was a story-he thinks you’re making it up. When she got home she went straight to the bathroom cabinet. She lined up the pill bottles and each of us took a handful. She lay down on the bed. But then Gina, who was a nurse for twenty years, and highly responsible, came out and called the police. At the hospital they made us drink charcoal. We didn’t like it. They lied to us and treated us like we were bad. They talked about us in front of us as though we were deaf. So I got us up, and pulled out the drip, and got us home to pick up the car. Cecily didn’t know what was going on. One minute she was taking pills, the next minute she was in a car, driving, heading south. It’s a battered old car, but a good one. It was hot and close in there, though, with all of us. It was my idea. I thought it might cheer her up. She likes a journey, does Cecily. Travelling takes you out of yourself, she says. It’s like dying. A different kind of consciousness, separate from everyday things. There is comfort and safety in flight, she’s told us. You can go and go and never arrive. The little ones soon got bored, that was the problem. At one point three of them were crying at once and Cecily was going mad from all the screaming. We pulled up at a roadhouse, a big one, with road trains parked in the driveway. I wanted to hang around and inspect them, to marvel at the size of the tyres. Mikey, always one for the great outdoors, wanted to go off hiking in the scrub and check out the tall termite mounds he’d seen from the road. Amber saw the cockatoo in its cage by the door and began to cry because it had a disease that was making it bald. Then Cristobel decided to have a tantrum because she wanted fruit-loops. Cecily ended up stuck in the middle of the driveway, hands clamped to her ears and stamping her feet. Cecily, I hissed at her. Get it together, people are staring. With that she got herself into the loo and locked the door. She stared at herself in the smeared mirror, breathing hard. Then she addressed all of us. I’m fifty-eight years old, she gasped. I’ve had just about enough of you kids. We will eat first, she said, and then we will play pinball. Then we will look at the trucks and then, the termite mounds. After that I am going to take some photos. She composed herself, powdered her nose and walked outside. Us kids shut up and let it all unfold. She let Mikey order sausages and chips, and Cristobel had fruit-loops and milk for dessert. Cecily smoked a cigarette while I looked at the trucks, and no-one said anything about how smoking is bad for our health. Back in the car, I thought, man, she’s listening to us at last. She’s working with us, like Dr Steve said she should. She’s managing us. We are co-operating. When we drove off I felt like we were getting it together. I felt a sense of freedom, hope for the future. We sang as we drove, all the old pop songs we knew and ads and tv shows. Rollin, rollin rollin, we sang, RAWHIDE. We stopped for breaks behind the bushes, squatting on the hard, quartzy ground, where your piss does not sink in and splashes your leg. But after Cecily hit the coucal, she grew despondent. She was tired. She wasn’t concentrating on the road, and sometimes she’d swerve and skid in the gravel. I was afraid we’d hit something worse than a coucal, a cow or a tree, so I took over. I’m only ten, but I can drive all right. Down the long straight roads of Western NSW. Through bull-dust scrub, past dozing cattle that struggled up at the sight of us. We needed a destination; we couldn’t drive forever. That’s when I thought of bringing us down here, all the way to Sydney. Back to my first home, where I first began. We needed a sanctuary, an asylum. That’s what this place is. A kind of Eden. It was designed that way. Even though it’s gone to seed in some wild-blown way. I drove us over the Harbour Bridge and all the little ones jumped up and down on the seats. Waved at the Opera House that sat like a big white shining insect on the rim of the harbour. The little ones distracted me so much I couldn’t figure out what lane to be in and ended up screaming at them as we drove into an endless wilderness of city streets and stop-start traffic. It was exciting for all of us-the kids smeared up the windows, goggling, craning up at the blue-glass towers. Cecily woke up driving along Parramatta Road and couldn’t for the life of her figure out how she got there. What have you done? Where are we going? was all she could say, over and over. When we told her, she panicked. Oh no, I can’t go there, she shrieked, not after what they did to me..
Then Old Needlehead tuned in and said, eh Cecily, you could head to that rowing club beside the hospital, drive down the ramp and right into the river. That’d fix it all, wouldn’t it–all the suffering. Cecily had been tempted by the idea of drowning herself in the river when we lived at the hospital all those years. Here’s your chance, cried Old Needlehead. What’ve you got to live for anyway. More of the same? But then I came out and Cecily couldn’t do it. I’ve told Needlehead over and over, if you kill the host you kill yourself and you kill all of us, don’t you get it? I’ve often wondered what would happen to us if she did kill herself. Whether there’s only one soul–Cecily’s, or if we have one each. If Cecily dies would five or eight or more of us float out of her still body, or would we become whole at that instant–integrated, as the doctors say when they talk text-book. It makes me wonder, what are people anyway? I’m exhausted, I’ve really had it. Sitting on my favourite old bench under the bamboo is relaxing, but me and Gina can’t stay out forever. We get tired, and when we sleep, who knows what could happen. Us good ones could organise ourselves into shifts, but the trouble is, you can’t trust the littlies. Old Needlehead could trick them, or they could doze off and Cecily might wake up again, and take herself down to the water. Old Needlehead put the idea into her head and she’s taken with it. She’ll kill us all. Me and Gina have a plan. In a minute I’ll gather myself up, and head right over to the ward. I’ll saunter up the concrete paths between the ponds, through all the rioting foliage. I’ll cross the shaved lawn, and the patients sitting out the front will turn and stare in my direction. Wait’ll you see this, I’ll think, wait’ll you see. I’ll walk right up the steps and into the dim and cool hall, where a lazy fan stirs all the smells-disinfectant, mince and medication. I’ll stand against the yellowish wall, and call out someone who’s out of control, like Cristobel, who’ll have a tantrum, and then one of the bad ones, like the Interrogator. I’m sick and tired of looking after Cecily, I hope someone else will take charge for a change. I’ll put on my best show yet, a change every five seconds. That’ll make the nurses come running.